Atlanta is one of the largest cities in the country. 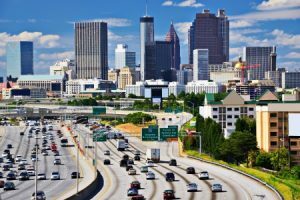 With over 400,000 people in the city and over 5 million in the metro area, Atlanta has something for everyone. Here are a few neighborhood tips for new homeowners considering a move in or around Atlanta. In Atlanta there are many diverse areas. Generally, it can be recognized that there are about 5 different neighborhoods. Each area offers its own restaurants, attractions and vibe that may make it the perfect spot for you. Downtown offers a wide array of attractions for locals and tourists alike. Popular neighborhoods include Castleberry Hill and the Luckie Marietta District. Buckhead is the spot for fashionistas and fans of great Southern architecture. In this neighborhood you will find top shops and stunning mansions. Buckhead is considered one of the safest neighborhoods in Atlanta. The eastside draws on its eclectic vibe to lure people in. The hip and trendy crowd will love the Old Fourth Ward area or the history-rich Sweet Auburn District. Midtown is the spot for those looking for green space and great culture. Here you will find Piedmont Park, the Atlanta Symphony Orchestra and High Museum of Art. The westside is currently undergoing a reawakening in terms of home renovations, and it is welcoming new storefronts, particularly unique design shops. When choosing a home that will suit your family today and for years to come, you want to balance safety, culture, proximity to attractions and proximity to great food. With all that Atlanta has to offer, there are many great options. Even if you find your heart set on a neighborhood that is not on the list above, rest easy. Our team at Actio Security can provide you with the safety solutions that will help you sleep soundly at night. From burglary alarms and home monitoring systems to digital video recorders with internet options, we have everything to keep you safe. We love Atlanta and we want you to love calling it home. Feeling safe is a top priority. If you are moving into a great Atlanta neighborhood contact our team today to find out about monitoring for your loved ones.